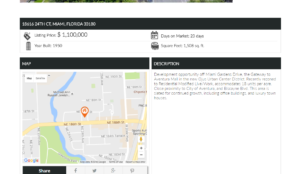 The client, a Real Estate Broker owned a Real Estate Website in Miami and she want it to be redesigned modernly. DCGWS Team was assigned to redevelop her website providing her the BEST Design that suits best her website needs. With the collaboration of ideas of the team, Miami Condo Waterfont has been made and currently, it has been promoted internationally with three different languages. 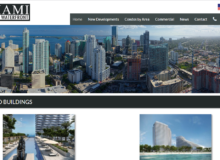 DCGWS Internet Solutions launched Miami Condo Waterfront in three different languages. click here.